[SatNews] Newtec has signed an agreement to provide a VSAT Broadband Hub and thousands of VSAT terminals to Liquid Telecom, a leading, independent, data, voice and IP provider in Africa. The agreement was signed at IBC 2013, in Amsterdam. Newtec’s VSAT hub for Liquid Telecom will be installed in Johannesburg, South Africa. Liquid Telecom has built Africa’s largest single fiber network which runs from the north of Uganda to Cape Town on a single thread. In total, its award-winning Pan-African fiber network spans over 15,000 km and is the first fiber network to cross country borders covering Africa’s fastest-growing economies where no fixed network has existed before. Its customers include Africa’s largest mobile network operators, ISPs, financial institutions and businesses of all sizes in Eastern, Central and Southern Africa. This new satellite capacity will supplement Liquid’s fiber network; the company will announce more details in the future. 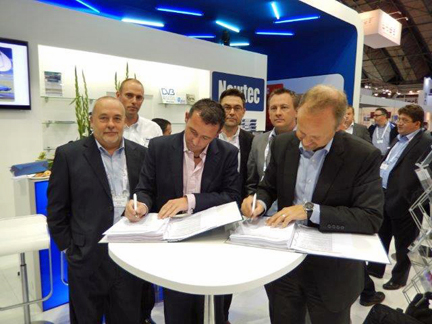 The agreement demonstrates Newtec’s innovative approach to the enterprise market to which it offers a highly-efficient selection of terminals and applications that deliver reliable and fast IP connectivity. 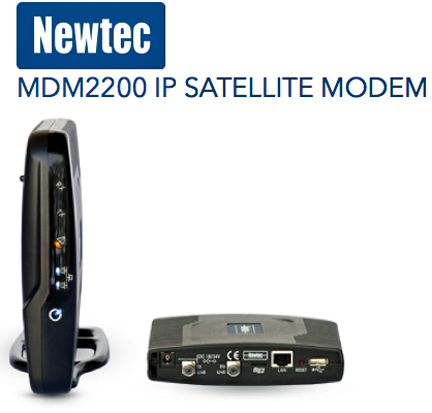 The Newtec VSAT terminals are based on the MDM2200 IP Satellite Modems, which have been designed to deliver services towards consumers, SMEs and enterprises. They are 2-way, high throughput terminals supporting a wide range of IP-based services like Internet access, VoIP and multicast based services as well as private networking for enterprises and banks. Multiprotocol Label Switching (MPLS) is the underlining technology that enables service providers to offer customers high-speed private network connectivity. Service providers can easily integrate their MPLS networks over the Newtec broadband platform.